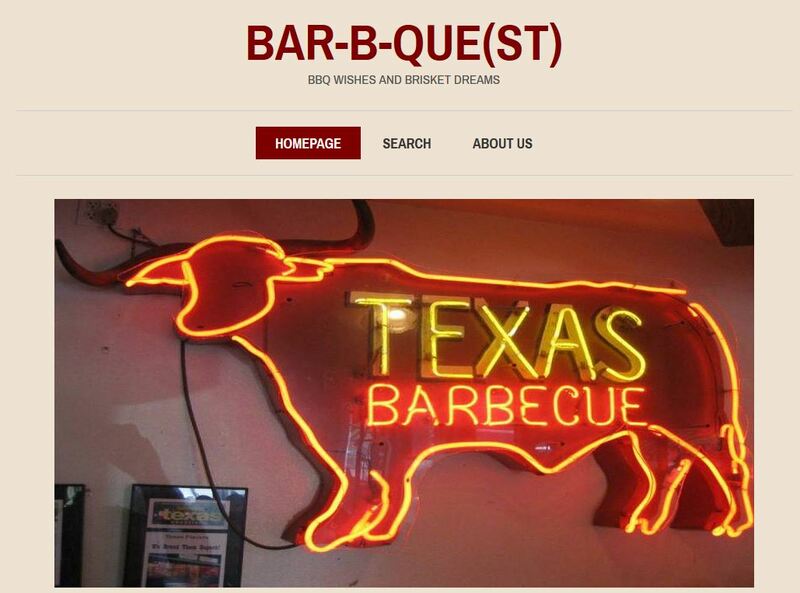 As part of a team, developed a database, Bar-B-Que(st), of 30+ Central Texas barbecue restaurants using MySQL and PHP. 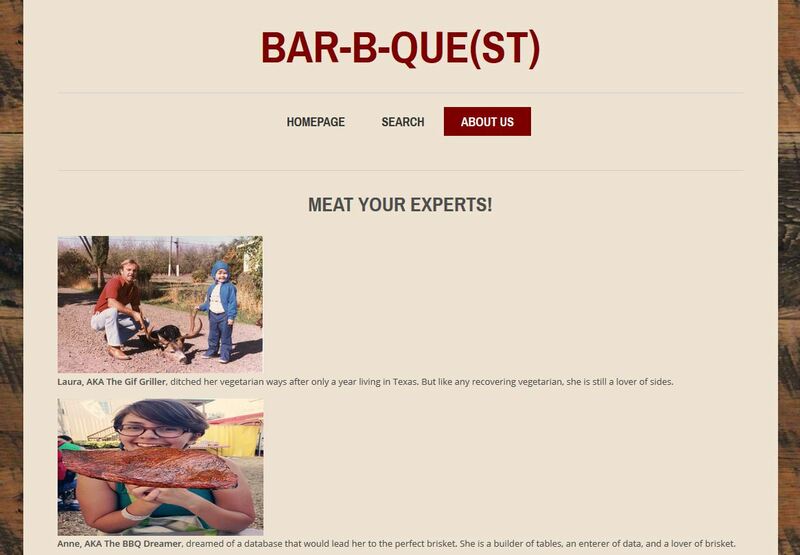 We created a website using HTML and CSS in which locals could search our database for their favorite bbq joint via several important limiting factors (i.e. 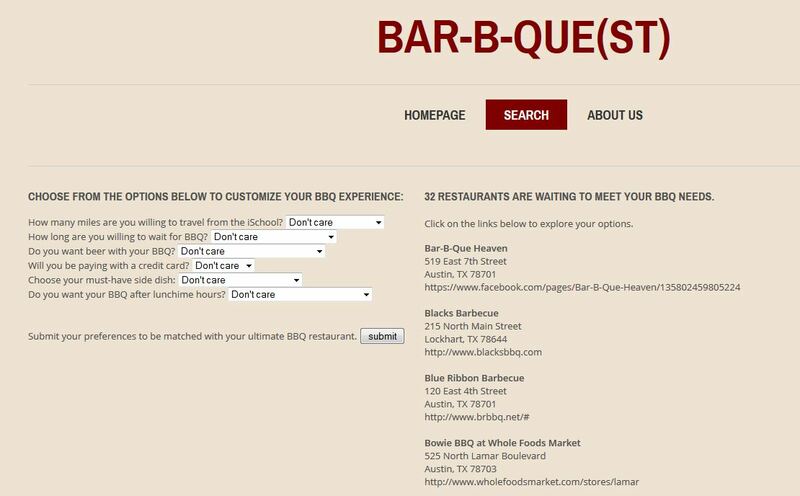 choice of side, geographic location, and length of wait).